On the Internet, there are various risk factors that can suspend web services. Mejiro is an Internet risk visualization service that collects data on risk factors existing on the Internet and visualizes risks based on indexes calculated by country or region(hereafter "region"). Users can select a region and specify a period to perform analyses from various angles and obtain a more accurate picture of the situation. See below for details on how to obtain data and calculate indexes. The current version of Mejiro is for verification purposes and therefore has much room for improvement. We welcome any feedback, thoughts, or questions regarding Mejiro. On the Internet, there are various risk factors that can make web service down. Mejiro collects data on these risk factors from data providers, uses the data to calculate indexes by region, and visualizes risks based on the index values. To obtain a more accurate picture of the situation, Mejiro creates objective risk indexes that can be compared and analyzes the information from various angles. See below for details on how to obtain data and calculate indexes. Mejiro uses what we call "Mejiro indexes" in its analysis. Mejiro indexes are obtained by plotting the number of risk factors identified in a region and the number of IP addresses assigned in that region ("number of IP addresses") on a double-logarithmic graph, and calculating the standard score of distance from the regression line. (Numbers of IP addresses vary greatly depending on the region and range from several hundred to over a billion. Since it can be assumed that the number of risk factors will increase in proportion to the number of IP addresses, numbers of risk factors are also likely to vary over a wide range spanning numerous digits. To enable discussions on an equal basis without regard to the difference in data size, we take the logarithm of both numbers and draw a comparison based on "the numbers of digits.") These indexes provide an idea about how the numbers of risk factors in the region compared global standards, and how differences from the standards compared risk factors. The indexes will serve as a reference in comparing the severity of risk factors across countries and regions and determining the order of priority for implementing countermeasures. We also hope that this service will lead to the mutual sharing of knowledge about how to implement countermeasures and relevant experiences. Mejiro builds on the basic principles of the Cyber Green Project, which JPCERT/CC has been working on since FY2014, and it visualizes Internet risks based on our unique approach. Open UDP servers are exploited to perform reflection DDoS attacks, and the entire information security community including JPCERT/CC is working to reduce the number of these servers. Mejiro measures and analyzes the following six types of open UDP servers, mainly those that exist in large numbers. In addition to risk factors that can be exploited to carry out a DDoS attack, Mejiro also targeted microsoft-ds (445/tcp) as a risk factor that can potentially be exploited in other attacks such as WannaCry. We plan to increase the number of target risk factors measured and analyzed using Mejiro. Mejiro obtains data from data providers. Mejiro uses a service provided by SHODAN to get the numbers of UDP servers and microsoft-ds (445/tcp) that can be accessed on the Internet. $ shodan stats --facets country:500 "recursion: enabled before:DD/MM/YYYY"
:The country and region identifiers used by SHODAN are ccTLDs, and to ensure counts are returned for all ccTLDs, 500 lines are specified. Similarly, --facets asn: specifies that counts be returned by ASN. :In SHODAN's database, numbers of risk factors vary considerably depending on the timing when the day's data are obtained. Mejiro investigates the numbers of risk factors that were found in the past 30 days or so to minimize the variation. The table below shows the search keys used to get data from SHODAN, including open resolvers. We are also considering importing data from TSUBAME, an Internet threat monitoring system operated by JPCERT/CC in cooperation with APCERT and others. As with SHODAN, Mejiro uses a service provided by censys  to obtain the numbers of open resolvers and open microsoft-ds server. This selects open resolver counts by country and region. This selects open microsoft-ds server counts by country and region. JPCERT/CC receives the data on Internet-reachable UDP servers from CyberGreen and calculates index by each protocol and ccTLD. The statistics of each protocol and ccTLD is available on stats CyberGreen potal site and through the following API command. The number of IP addresses assigned to each region is calculated using the correspondence between the IP address range (CIDR block) and ccTLDs contained in the "GeoLite2 Country" data of MaxMind. A time series graph shows the numbers of each risk factor obtained from data by country and region in chronological order. This graph gives a high-level overview of changes in the number of risk factors in each region along the time axis. However, the number of risk factors indicated here is assumed to be proportionately large in countries and regions with a large number of IP addresses, and relatively small in those with a small number of IP addresses, so it would not be valid to simply compare absolute numbers. As such, we will make relative comparisons using (2) scatter plots. With Mejiro, too, there are cases in which the number of risk factors in a region varies relatively considerably with the passage of time, and in such observations, it seems that the count tends to vary considerably depending on the time, place, and method of observation. We assume that the variation might be caused by the following differences. For this reason, we are planning to develop a method that can provide a more accurate picture with Mejiro, such as increasing the amount of data obtained and cross-checking, in addition to carefully examining the data. An index time series graph shows the trends of each risk factor in each country and region by Mejiro index in time series. While the time series graph in SHODAN may show a large fluctuation, Mejiro index time series graph tends to show less variation. This is because Mejiro index is calculated based on the deviation value (50 as average), and the index value usually fluctuate between 20 and 80. We hope that the index time series graph will be used for understanding the trends, for example to verify the effectiveness of the cleanup activities. If you observe this graph periodically, some long-term characteristics may be identified. Mejiro makes relative normalization based on the number of IP addresses. However, the numbers of IP addresses vary greatly depending on the region and range from several hundred to over a billion. As such, it can be assumed that the numbers of risk factors will also vary accordingly, at least by several digits. Generally, when dealing with numbers that differ by multiple digits in an analysis, the numbers are analyzed in terms of their common logarithms. Mejiro likewise performs analysis using the common logarithms of the numbers of IP addresses and risk factors. We found out that when these two parameters are represented on a double-logarithmic plot , a regression line with relatively small residuals can be drawn. On this scatter plot, the common logarithms of the numbers of IP addresses are plotted along the x-axis, and those of the numbers of risk factors identified in each country and region along the y-axis. Since the diagram plots common logarithms, broadly speaking we are looking at â€œthe number of digitsâ€� of each count. Although there are certain variances within the scatter plot, you can see that the data points of each country and region are mostly distributed from the lower left (i.e., small numbers of IP addresses and risk factors) to the upper right (i.e., large numbers of IP addresses and risk factors), and that there are few or no data points in the upper left and lower right areas of the diagram. We discovered that a regression line with relatively small residuals can be drawn if orthogonal distance regression (ODR) is applied to this type of distribution. (The equation of the regression line is shown in the scatter plot as well.) This regression line in a way represents the "average numbers of risk factors expected in a region of a certain size." Therefore, the (orthogonal) distance from the regression line can be interpreted as indicating "how much a certain data point is higher or lower than the number of risk factors that are expected to exist in a region, based on its size." In other words, if a data point deviates from the regression line in the direction of fewer risk factors, it can be assumed that the region has "fewer risk factors than the global average" ("more" if the data point deviates in the opposite direction), and the degree of deviation indicates "how much the number is higher or lower." Mejiro calculates the standard score of distance from the regression line and uses it as an index. Using this calculation method, we were able to calculate the standard scores by region for each risk, and these are the values that serve as indexes in Mejiro. Since these indexes are standard scores, the indexes will be around 50 if the number of a given risk factor identified in a region is about average for that region relative to the number of IP addresses. If the number of the risk factor is greater than expected, the index will be higher than 50; if fewer than expected, the index will be lower than 50. Histograms give you an idea about the relative overall position of an index for region. If it is positioned at the center peak of a normal distribution curve, it means that the number of risk factors is about average, and the farther it is toward the right, the greater the number of risk factors compared to the global average when the number of IP addresses assigned is taken into account. Since we are able to apply orthogonal regression when calculating Mejiro indexes, we believe the indexes, which are the standard scores of distance from the regression line, will be distributed in a pattern close to the normal distribution . We can see that the pattern actually follows the normal distribution  on a histogram, but some differences in the pattern may be occasionally observed. Going forward, we will also investigate what this kind of divergence signifies. : The regression line indicates the average relationship between the number of IP addresses and the number of risk factors, so any divergence from that line can be interpreted as a divergence from the "average," which means that the distribution should generally follow a pattern similar to the standard deviation in the absence of any deviating factors. : A KS test has indicated that the pattern follows a normal distribution. Radar charts enable comparison of risk factors that exist in a region and identification of the position of each risk factor relative to the standard (after making a relative comparison with the number of IP addresses assigned). We hope that these charts will serve as reference information in determining the order of priority of countermeasures for a given region. For example, we envision discussions such as if the index value of open resolvers is the biggest, perhaps efforts should be made to improve it. We can also make cross comparisons by looking at Mejiro indexes of different countries and regions. For example, if the open NTP server index value of country B is larger than that of country A, then country A could refer to country B's measures to reduce open NTP server as a best practice. It might be possible to perform this kind of benchmarking. JPCERT/CC is working to mitigate any problems or issues discovered using Mejiro indexes by alerting the appropriate CSIRT, providing information about best practices, and other means. We alerted and advised national CSIRTs that showed considerably high index regarding open SIP server. World map bubbles provide a general idea about in which region a certain risk factor exists in large or small numbers by showing Mejiro index values as bubbles with different diameters. Note, however, that since these values have already been relatively compared with the numbers of IP addresses assigned, they do not indicate "absolute numbers." Mejiro is now operating for verification purposes and therefore has much room for improvement. We will continue to work on development to make it a system that can obtain a better picture from better and large observation data, and to improve the calculation method of indexes. We will also tackle new issues identified through Mejiro. We welcome any feedback, thoughts, or questions regarding Mejiro. 18 March 2019 CyberGreen data was added to the data source list. SNMP (CyberGreen), SSDP (CyberGreen) and CHARGEN (CyberGreen) were added to Mejiro index. 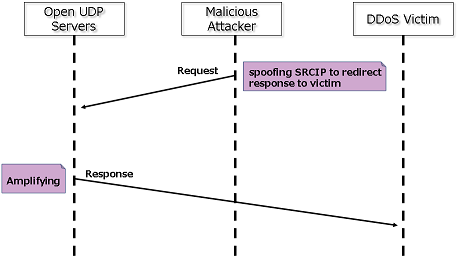 RPC (SHODAN) was deleted because TCP protocol was counted. This graph shows changes in the numbers of nodes that can become risks in a certain time frame. Use it to get an idea of the numbers of nodes. *1: The graph shows the data for two years. Data have been obtained starting in October 5, 2017. This function can be used from October 6, 2019 to see past data. *2:Up to five countries and regions can be selected at a time. You may choose any five countries and regions. Once selected, click the Ã— mark at the top left or anywhere in the gray area outside the pop-up screen to return to the main screen. Left-click on the graph and move the cursor sideways to enlarge the graph along the x-axis. Press the "Reset zoom" button to return to the original magnification. Use this to display the print screen or download PNG, JPEG, PDF, or SVG files. This graph shows the changes in Mejiro index in a certain time frame. Use it to understand how Mejiro index has changed in a long term. This graph shows the density and variance for each ccTLD and risk. Use it to check how far the number of IP addresses assigned and the number of risk nodes are off the average for each ccTLD. *1:The graph shows the data for two years. Data have been obtained starting in October 5, 2017. This function can be used from October 6, 2019 to see past data. Index scores are visualized on the histogram. Use it to identify which class a ccTLD belongs to for each risk. *1:Data obtained from SHODAN are used. Index scores are visualized on the radar chart. Use it to compare risks between ccTLDs. *1:Up to five countries and regions can be selected at a time. Up to five countries and regions can be selected. Once selected, click the Ã— mark at the top left or anywhere in the gray area outside the pop-up screen to return to the main screen. Index scores are visualized on the world bubble map. Use it to compare the levels of each risk by ccTLD.